I’m so thrilled that rose season is in full swing! 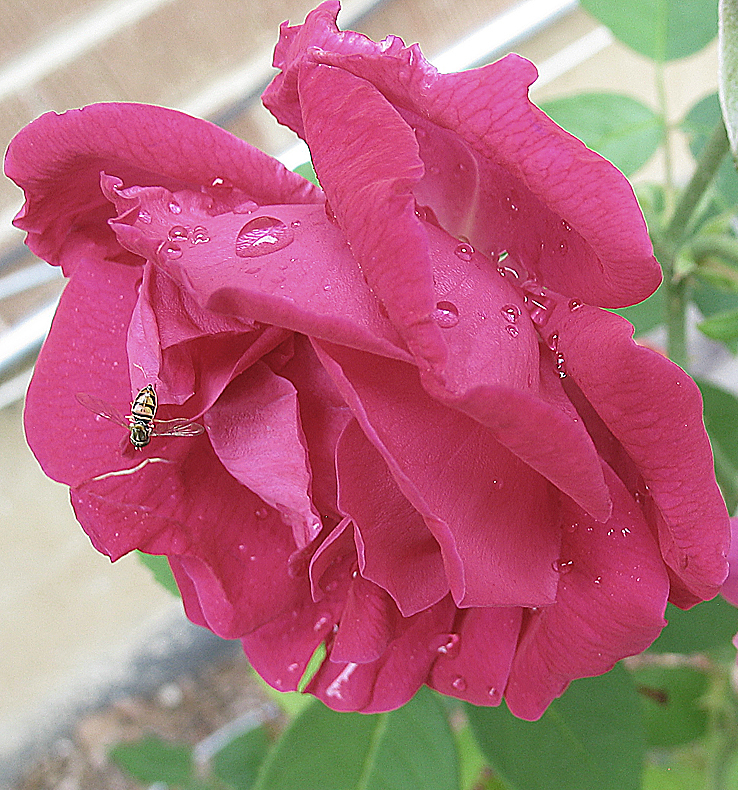 I was right when I assumed that the roses would be spectacular this year from all of the Spring rains. Such blooms! And although some of my plants had some pretty severe die-off from a deep November frost (and thus they won’t bloom this year) some came back so splendidly that I am just smitten all over again. How could I possibly resist their charms? The eglantine that I mentioned in my last post is just popping with the most lovely foliage (the scented part) and delicate single petal pink roses. I get the same feeling every time I rub those leaves between my fingers and sniff the scented air that I must make another perfume with an eglantine leaf note just to have the pleasure of working with it again. I created an eglantine leaf accord for the CHROMA scent, Umber: Bois de Rose, mixed with a moody aldehydic violet – dark rose heart that may not be to everyone’s taste but I really love it. All of this has been just in time to give me a great boost of energy for the talk I gave on Wednesday to the Rose Society of Denver at the Denver Botanic Gardens. What incredible fun it was to show isolated rose alcohols and some of the minor constituents that give various roses their unique character. 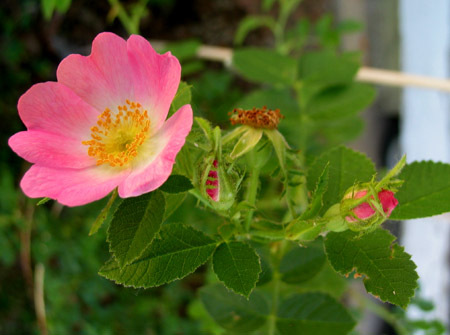 Of course, I also shared examples of natural rose oils: Rosa Gallica Otto, Rosa Centifolia Abs., and Rosa Damascena Abs. The best part was having everyone hold the cards pre-scented with selected isolates in one hand and smell for them on the card with the natural rose oil in the other. Everyone’s favorite of the natural rose oils was the Centifolia and with little wonder, it’s incredibly complex with the most fabulous mildly spicy, deep rose scent with honey, berry, and violet nuances. 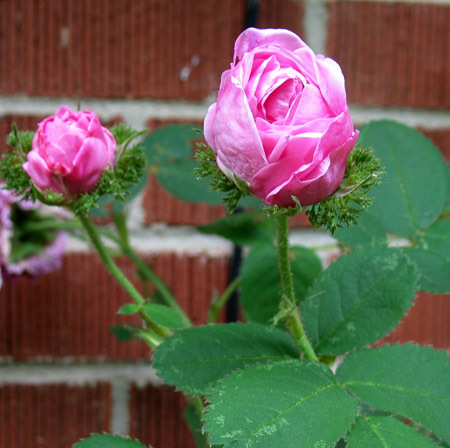 Among all of the roses in my garden, I have to admit an immense weakness for the moss Centifolia, “Chapeau de Napoleon”, that’s looming right now. Not only is it so very beautiful, but the moss hybrid gives it a deep resinous, rose oxide kind of hit mixed with the luscious old rose scent complete with berry, honey, spice and violet nuances. Another absolutely wonderful rose that’s stolen my heart is a blush, musk rose that’s just begun to bloom. The scent of the petals are quite subtle, no surprise there, as like the eglantine it”s not the flower that gives the fragrant impact, it’s the stamen. There’s a milky, ambrettolide-ish aroma that I just love. 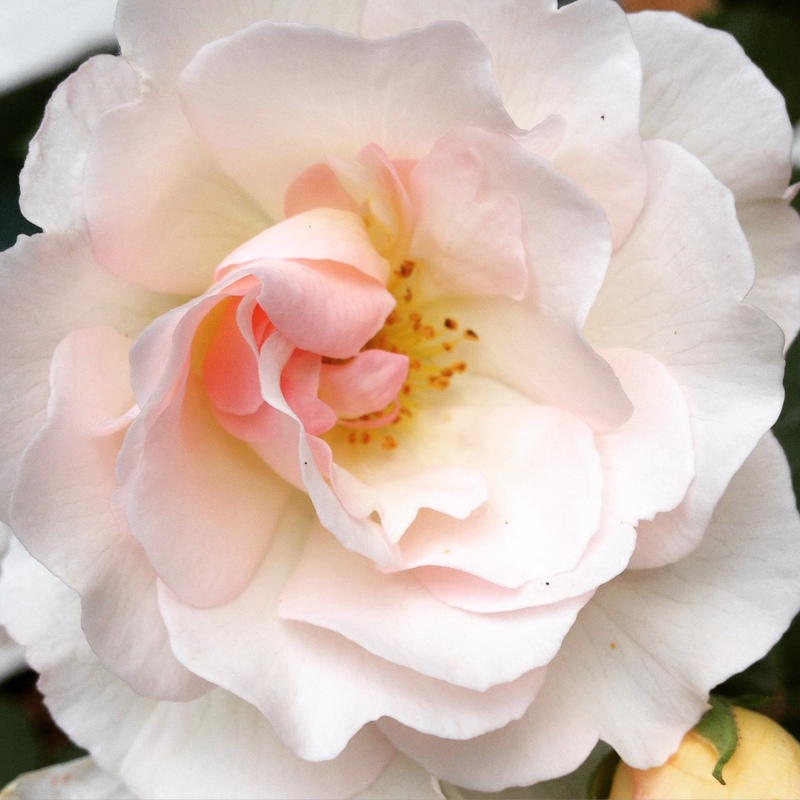 It’s pale and soft, which reflects the petals so perfectly. Needless to say, I’ve been truly inspired by these beauties; even more than in previous years. Maybe it’s because my work in general has been completely immersed (well, nearly completely) in flowers since last Autumn and there doesn’t seem to be an end in sight. 😃. Awesome. 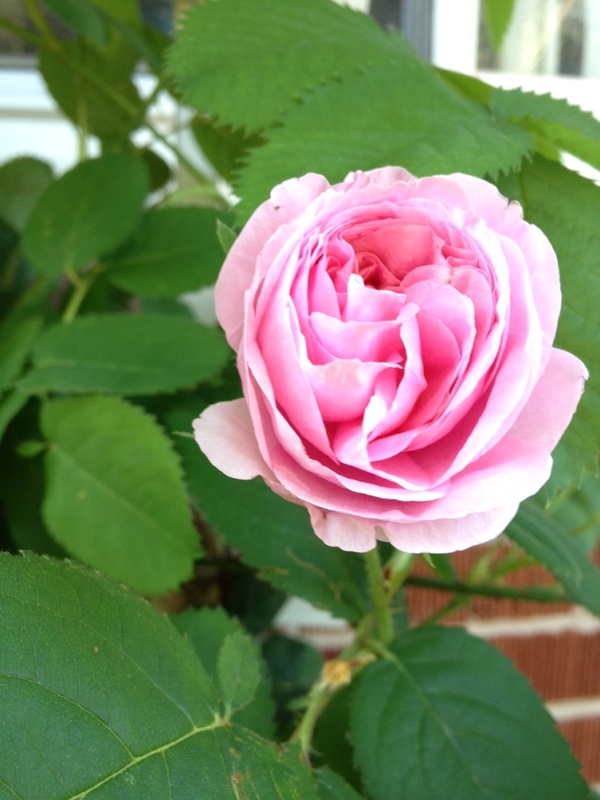 June is right around the corner and so with it brings the big blooming season of my cherished roses in the garden. 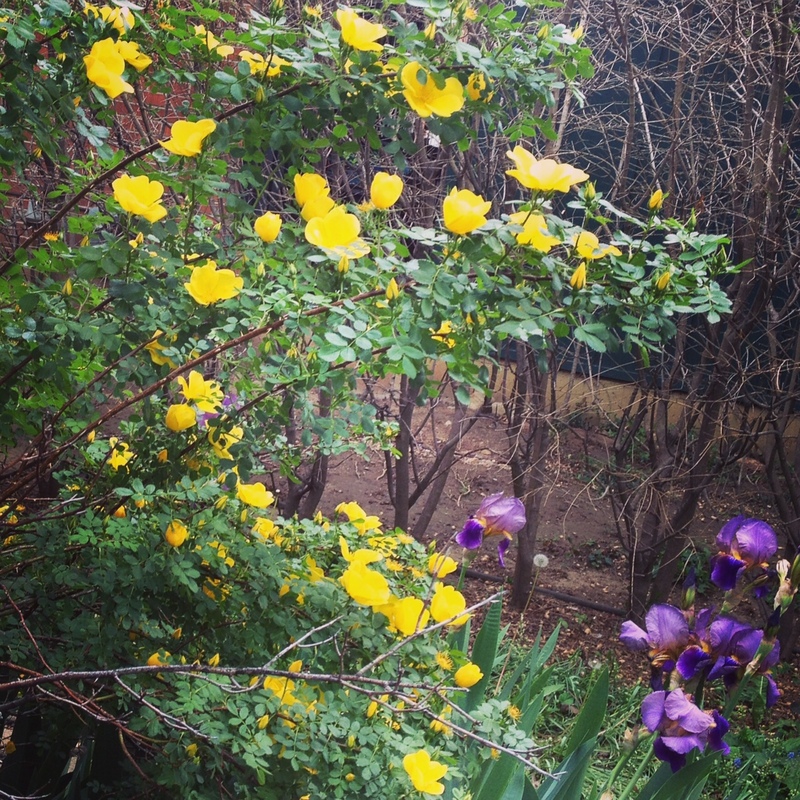 The yellow roses are in bloom now as they start early but the others are just beginning to bud. This may be in reaction to a long, cold but very wet snap we’ve had since mid-April. The roses are loving the extra moisture and I’m expecting an incredible show in about a week. It actually couldn’t be better timing as I’m preparing a talk for the Denver Rose Society at the Denver Botanic Gardens on June 10th. The talk will be all about roses, rose molecules that give the aromatic signature of ‘rosey’ and how this applies to the creation of rose perfumes. I’m really excited! 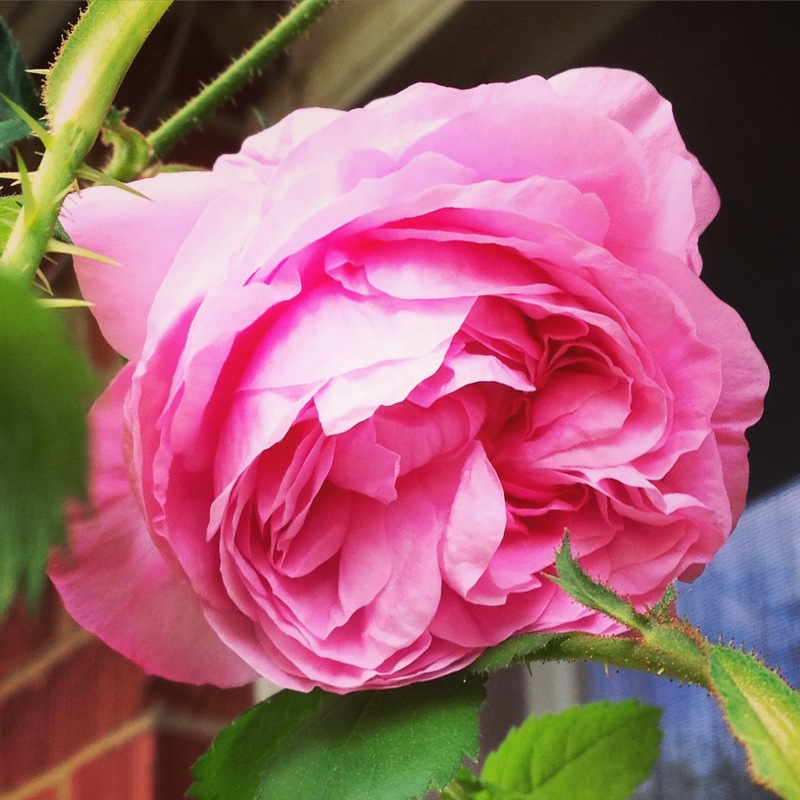 I LOVE talking about roses and rose fragrances; especially how they might seem easy to create because there are so many of them and the rose scent is so recognizable. Of course, it’s really deceptive. There are a gazillion different roses with as many varying scents and if you’ve started to *smell the roses* you know this is true. It’s actually true of lots of flowers: we think we know them but if we start to examine them more closely they show many ‘faces’ and many fragrances. Since last Fall or maybe even earlier I’ve been immersed in flowers and floral perfumes. I’m not sure why, exactly; the inspiration as well as the work itself has brought me to the garden again and again. With the Brilliant Collection for the Cartier exhibit a multi-facteted white floral emerged for Deco Diamonds, a lush, damp earth hyacinth for Jacinthe de Sapphir, and a deep ruby-hued rose for Rubis Rosé. There’s a fascinating array of fruit nuances found in roses, from zesty citrus nuances, to crisp apple and juicy pear, to lush blackcurrant and berry-like notes. Rubis Rosé has a deep tea rose in the heart and a bright red raspberry top note. It’s a combination of influences: my neighbor’s vintage (1960’s) tea roses and the fabulous berry quality of classic red long stems. I also wanted to create a rose design that spoke to a real classicism as well as the mid-century fruited-aldehydic-floral. You know, speaking of aldehydics and roses, I find it very interesting that some of the roses in my garden display a sort of green aldehydic quality. Part of it is a linalool-ish citral (citrus-y) flash and other parts are the geranium-like, green rosey aromas of geraniol and geranyl acetate. 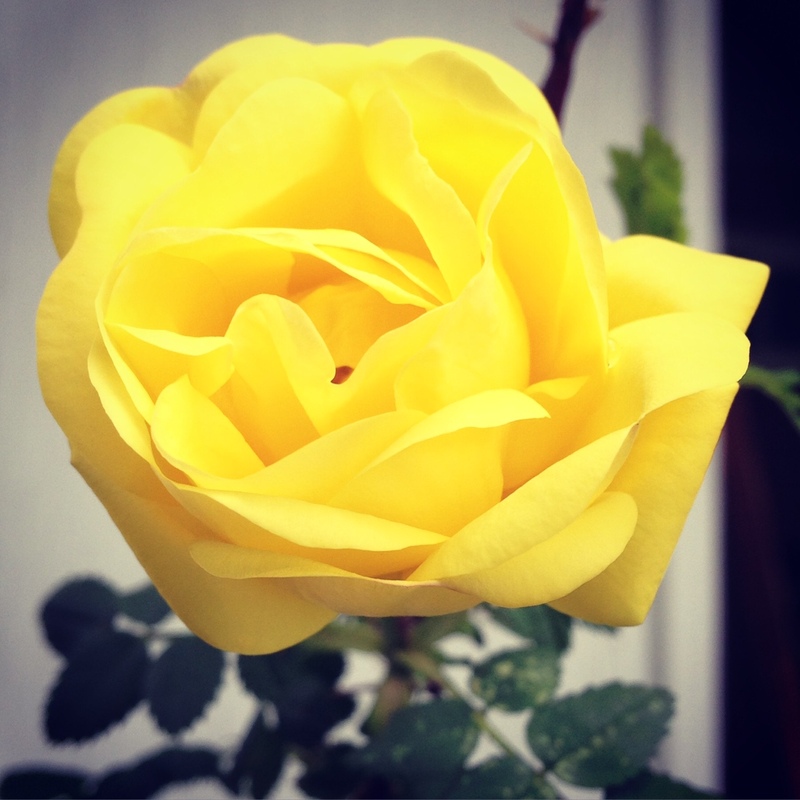 The yellow roses (the Austrian Copper roses especially) that are blooming right now have this incredible scent. It has those geranium-rose notes at play with an almost metallic kick as if it were a constructed perfume with the citrus-green rosy mix of aldehyde c-8 and aldehyde c-12 Enic in the top. I love it! Years ago I created an all-botanical yellow rose scent called “en Vacances” which is based on a Harrison’s Yellow that grew in my back yard when I was a kid. It always bloomed on the last day of school. To me it was the scent of Summer Vacation. Saving Grace, also in the Garden Bathe aromatherapy perfume collection, is another more woody-based, more clearly rose (I smell it as pink) design that has some of these characteristic gernium-rosey tonalities as well. But it’s not just the geranium-rosey aromas that are coming out of the rose garden. One of my favorite aspects that is showing up is the characteristic peppery-green notes wafting from the leaves and stems on the centifolias and the fabulous scent coming from the green apple – aldehydic fragranced leaves of my eglantine. It’s reminiscent of certain peonies, which for me are filed away in my mind as a subcategory of rose note flowers. They are their own delicious, wonderful thing, of course, and they too have quite a lot of variation from dewy, ever so slightly powdery-apricot-y, to softly watery pear, to a very deep and spiced rosy-green. Last year I created a Peony perfume after many years thinking on it. 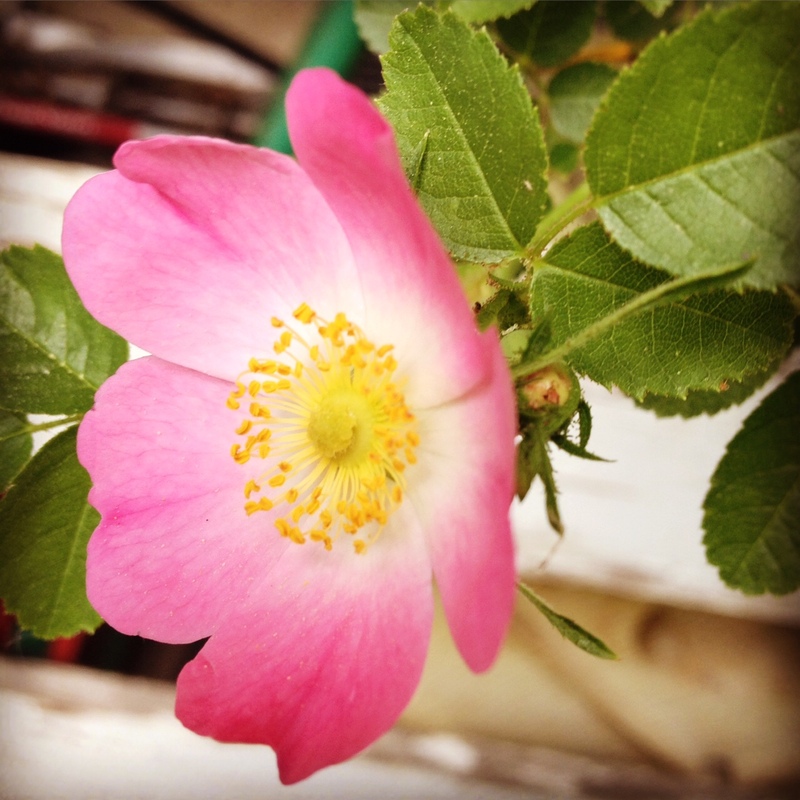 I wanted to tell a story like a ‘day in the life’ of the peony flower kind of experience. I could bring it from a slightly metallic-green, softly peppery – softened with dew note at the beginning, through its most ‘rosey’ phase and into a twilight shaded and darker aspect in the drydown. I’m not sure it’s for everyone but I really like it and I feel it tells it’s story nicely. This seems like as good a place to stop part 1 for now. I’m hoping that as I send this out and in the next few days, some of the other buds will pop out into full blossom. * images are all my own. you can see most or variations on them at my instagram page.